We’re seeing people on the spectrum unleash their intellect, experience and creativity across the company and around the world. Recently I was invited to participate in a golf tournament. 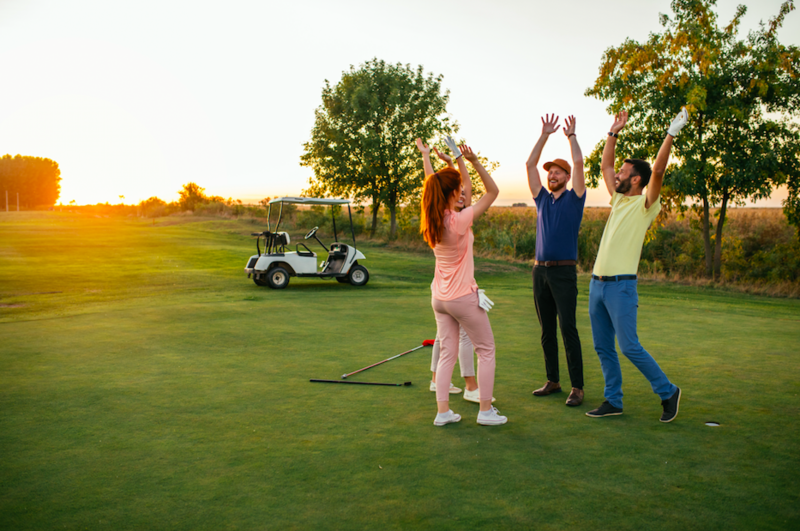 Golf is more than a game to me: it’s social; it’s outdoors; and it’s competitive. I’m always up for some good competition! Unfortunately, I just don’t get out there as much as I’d like, but in this situation, it’s not just about competing in a beautiful setting with friends and colleagues. This tournament has a purpose that is meaningful, powerful and valuable: Els for Autism Golf Challenge. Not only do I get to play golf and feel good about supporting a great cause, but this helps people, communities and businesses. It’s a trifecta! In the software industry, the network effect occurs when new participants join a digital platform, and the entire collective reaps the benefits — the more inclusive the network, the richer the experience and the greater the value. The same can be said for inclusivity in the workplace. Both serve as opportunity multipliers enhancing the experience and value for all. I aspire to create a corporate culture that is welcoming to and respectful of all. For me, this aspiration is modeled through SAP’s Autism at Work program, one of our many great diversity and inclusion programs at SAP. Of course, in the procurement business, where matching supply with demand is our specialty, we know a mismatch when we see one. There is upwards of eighty-five per cent unemployment rates for adults on the spectrum — people with skills and ambitions and dreams — which indicates that our colleagues, customers and communities are missing out on a huge untapped pool of talent. It’s also an opportunity denied to people with a tremendous amount to offer. When I think about these people with skills, ambitions and dreams, I think of Dennis, a quality assurance specialist at SAP Ariba. 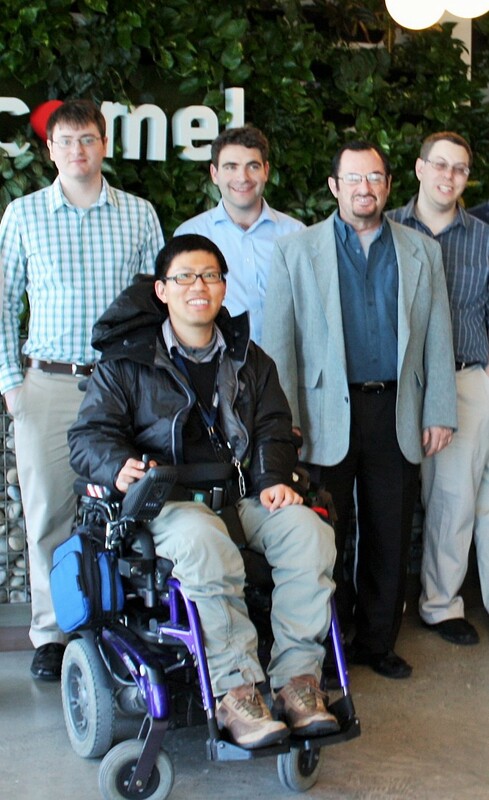 Dennis has muscular dystrophy and struggled to fit in. He always assumed it was because of his wheelchair. Now that is the caliber of colleague that I want on my team — someone who spends more time thinking about what he can do than what he cannot. Not to mention that as a quality assurance specialist, Dennis is an expert at catching issues way before customers experience them! At SAP, we hire people like Dennis because we’re better for it. We develop the best products because we hire the best people. It’s as simple as that. Though I am looking forward to a great day of golf, it’s really not about the game. It’s about providing opportunities and presenting the realm of possibility. American writer and lecturer Dale Carnegie once said, “We all have possibilities we don’t know about. We can do things we don’t even dream we can do.” Dennis is doing his thing, and I’m doing mine. We can all do something. The Els for Autism Foundation is a valuable resource to educate ourselves on autism, to donate and to volunteer. Each of us can play a role in helping our communities and companies be better. The possibilities are simply waiting to be seized. Barry Padgett is President of SAP Ariba and SAP Fieldglass. As leader of both cloud solution organizations he is responsible for the oversight of end to end operations, vision and strategy, including the world’s largest business network and leading external workforce management solution. Prior to his current role, Barry served as President of the SMB Group at SAP where he drove SAP’s growth amongst small and mid-market businesses and oversaw the strategy and execution for SAP Anywhere, Business ByDesign and BusinessOne. Barry came to SAP through the acquisition of Concur, where he served in several executive roles, including Chief Product Officer, EVP & GM of EMEA and Asia Pacific, VP of International Sales and GM of the TripIt Business Unit. Barry earned a Bachelor of Science in Applied Mathematics from Union College and a Master of Science in Software Engineering from the University of Oxford.